The coffee chain giant will now be accepting WeChat smartphone transactions to pay for purchases. The Starbucks QR code based payments are now being accepted in Chinese locations. The coffee chain announced that WeChat users will now be able to pay for their food and beverage purchases with the mobile app’s Weixin Pay. The initial introduction of the QR codes will include around 2,500 of the company’s Chinese cafes. To use the Starbucks QR code, customers must simply scan the code at the checkout counter. This is completed through Weixin Pay. The mobile payments technology makes it possible to carry out the entire transaction over the smartphone. Customers will be using mobile payments at Starbucks as a result of a new agreement between the café and Tencent Holidings Ltd. This makes the coffee chain only the latest fast food company to offer Chinese consumers a mobile wallet payment option. The Starbucks QR code has already proven to be very popular in other countries including the United States. In China, mobile payments are becoming increasingly commonplace. Disney, KFC and Uniqlo already offer m-payment opportunities in their Chinese locations. At the moment, there are approximately 200 million Chinese consumers using Weixin Pay and Alipay – Weixin’s rival owned by Alibaba Group Holdings Ltd. Consumers have embraced the technology due to the checkout speed it offers in-store. That said, as popular as mobile payments are becoming in China, many foreign retailers are hesitant to introduce them. The main worry is regarding a customer privacy breach through the data collected during the transaction. The Starbucks QR code will provide precisely that opportunity. Customers can step up to the counter, order their beverage and scan the quick response code to verify and complete the transaction. This will also help to boost its strength in the competition with its top rival Costa Coffee. That company has been accepting mobile payments for more than a year. 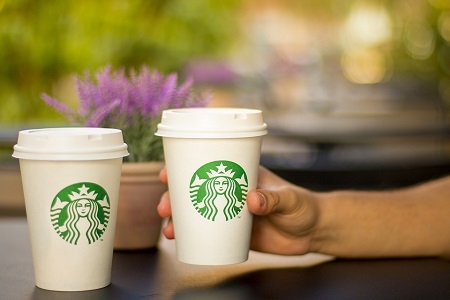 Starbucks continues to lead the mobile commerce market in the United States. The company first embraced mobile payments a few years ago, establishing a major lead in this market in a relatively short time. Starbucks has managed to find success with several large retailers have failed, effectively engaging mobile consumers and providing them with services that they believe are valuable. Starbucks is expected to continue leading in the mobile commerce market, especially as more consumers begin using their smartphones to get their shopping done. During October of this year, approximately 21% of all transactions that Starbucks saw came from mobile devices. This translates into some 5 million transactions in October alone. The company supports mobile payments in some 7,500 stores throughout the United States, with many of these locations offering mobile ordering and payment services. This allows consumers to place an order before they arrive at a Starbucks store, paying for this order via their smartphones or tablets. The convenient nature of this service has been praised by consumers. Aided by its success in mobile commerce, Starbucks was able to meet its expectations for the fourth fiscal quarter. The company has reported a 32% growth in mobile users in the United States and Canada during the fourth quarter, a significant increase over what had been reported during the same period last year. Starbucks has successfully rolled out its Mobile Order & Pay service this year, which has lead to a significant increase in mobile commerce activity. 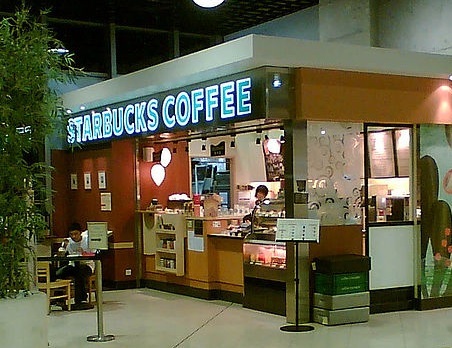 Starbucks will not become complacent when it comes to mobile commerce, of course. The company intends to introduce a feedback feature, allowing mobile consumers to provide suggestions for how the Starbucks mobile app can be improved. The company is also expected to introduce new features to the app that consumers have already suggested. These features are likely to be introduced at some point in 2016.